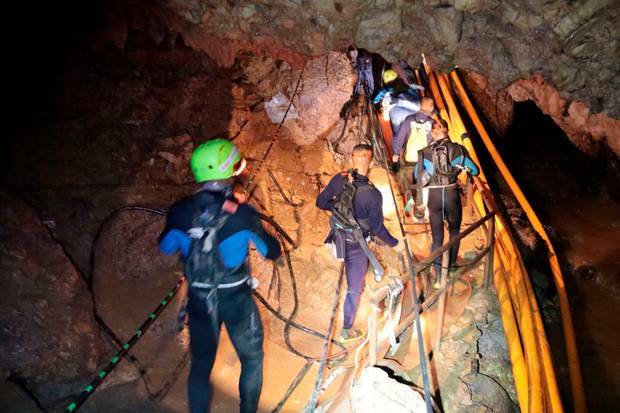 The world was on the edge for over 2 weeks, after 12 boys from a Thailand soccer team and their coach got stuck in a flooded cave. According to The Hollywood Reporter, Pure Flix Entertainment, a faith-based production company, has indicated plans to make the movie. CEO of the company, Michael Scott, was reportedly on the scene for days and living in Thailand part-time. “The bravery and heroism I’ve witnessed is incredibly inspiring, so, yes, this will be a movie for us,” he said. Director Jon M. Chu of “Crazy Rich Asians” is another person who has revealed plans to make the story into a movie. He’s reportedly working with Ivanhoe Pictures, in cooperation with the Thai Navy and government.